I have an amazing massage therapist, Guto, who does wonders for my neck and shoulders. Lily loves Guto and always lies on the table with me while I'm getting a massage, patiently waiting for Guto to finish and give her one. It's the funniest thing and she periodically kisses Guto's hands while he's massaging me, as if to say "my turn!" 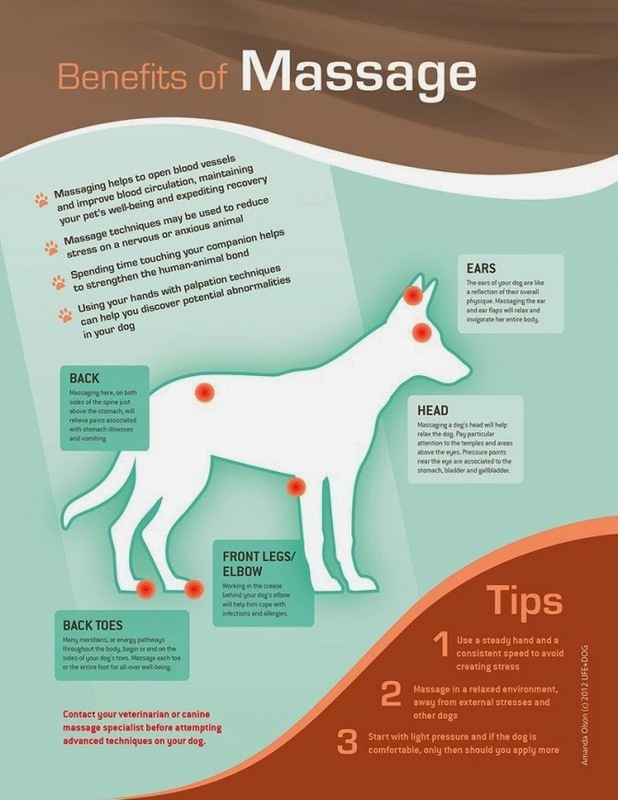 Be sure to visit Life+Dog to see their more detailed instructions on how to give your dog a massage! Happy Dog Lovin' & Dog Massagin'!